Not in your usual location downtown, this restaurant can be found on the same road as many of the showrooms of the biggest fashion houses in Milan. If you didn't know what you were looking for, you would walk right past the modest doorway of Osteria Del Binari (Via Tortona, 1). But once inside you find a rather large restaurant, with two different dining rooms and an outdoor patio. Del Binari knows how to play up the seasons as well: in winter there is a roaring fireplace in the dark, candlelit dining room and in summer they have a lovely garden in which you can eat outside. This restaurant is a perfect spot for a date or a business dinner, but no matter whom you choose to dine with, Del Binari knows how to serve up consistently delicious food from the Lombardy region. Some of the most famous dishes from the Lombardy region are osso buco, risotto (alla milanese), cheeses such as gorgonzola and grana padano, cotoletta alla milanese, polenta and pasta filled with pumpkin. 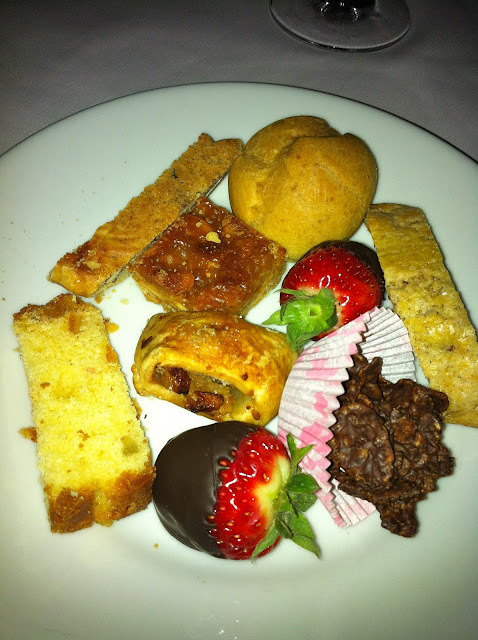 After you place your order at Del Binari they always offer you a little something extra. 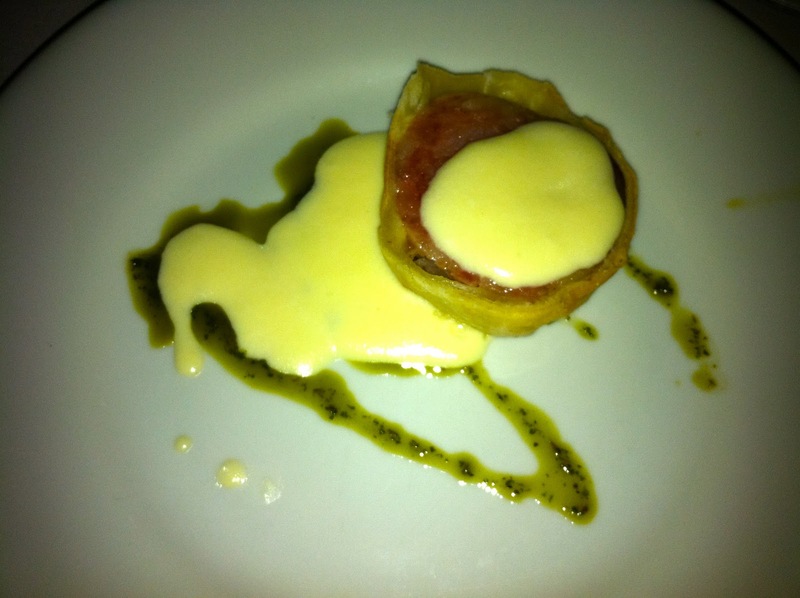 When I was there in November they brought over this delicious thick cut of salami that was wrapped in a homemade crust, served slightly warm and drizzled with melted cheese. 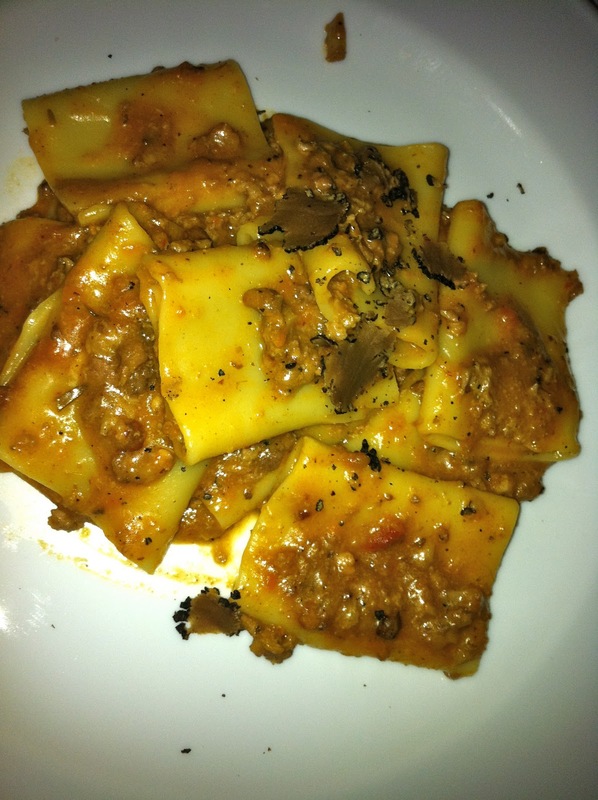 For first courses we ordered two pastas, one was a pasta called paccheri that was served with a duck ragu and then topped off with wonderfully pungent freshly shaved truffles. This pasta was by far and away one of my most favorite dishes consumed during my trip to Milan. The richness of the sauce and the flavor explosion with the added truffles was otherworldly. 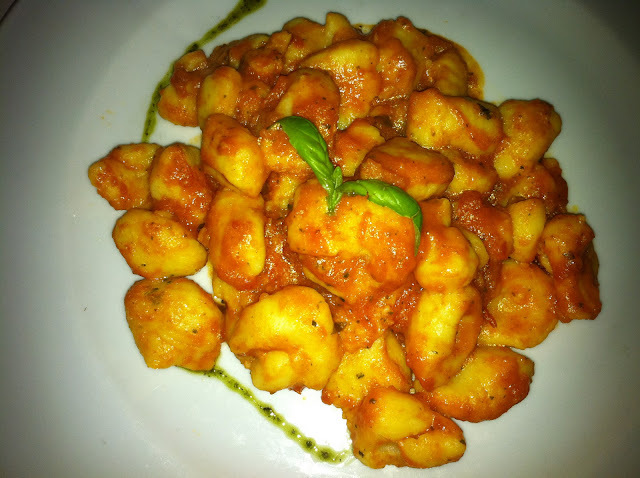 The second pasta we ordered was a simple gnocchi in a red tomato sauce with basil. The pasta was cooked al dente and the taste was fresh and enjoyable. For my main course, I, of course, had to try the cotoletta alla milanese, which is traditionally a veal cutlet that is pounded very thinly, though kept with the bone in, and then coated with bread crumbs and braised in butter or fried. This was a mammoth piece of veal and I was glad to have shared it. 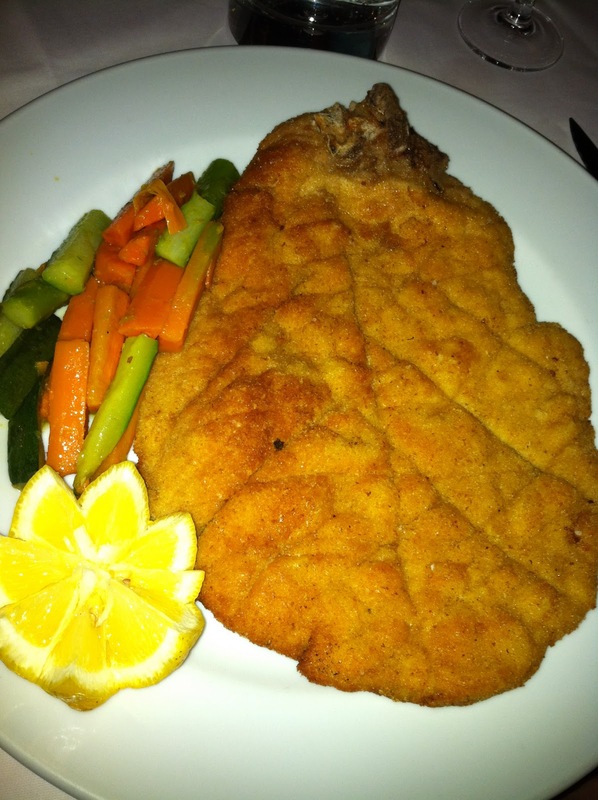 The milk-fed veal was very tender and the breaded coating was crispy, yet light. Overall, a delicious and satisfying dish. At the end of the meal, Del Binari usually offers a small plate of walnuts with chunks of parmigiano reggiano cheese, and in our case, we also got a dessert sampler on the house (we were a rather large group of 8 people) that featured biscotti, a profiterole, strawberries dipped in chocolate, chocolate coated walnut clusters and the like. 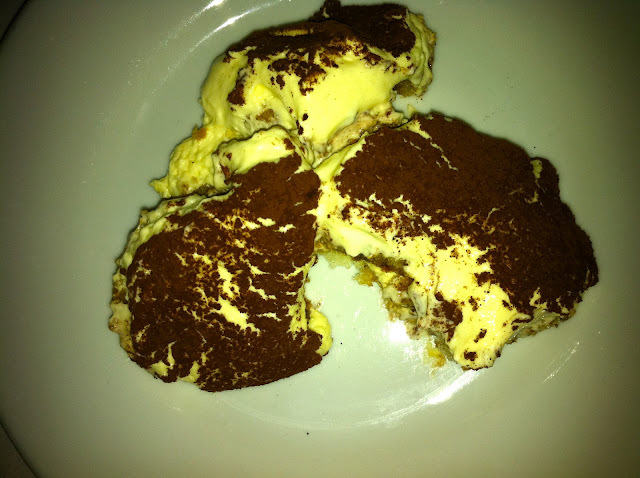 We also ordered a traditional tiramisu (lady fingers soaked in espresso and layered with sweet mascarpone cheese, dusted with cocoa) which was wonderful and tasted as if someone's grandmother had just whipped it up in the back. 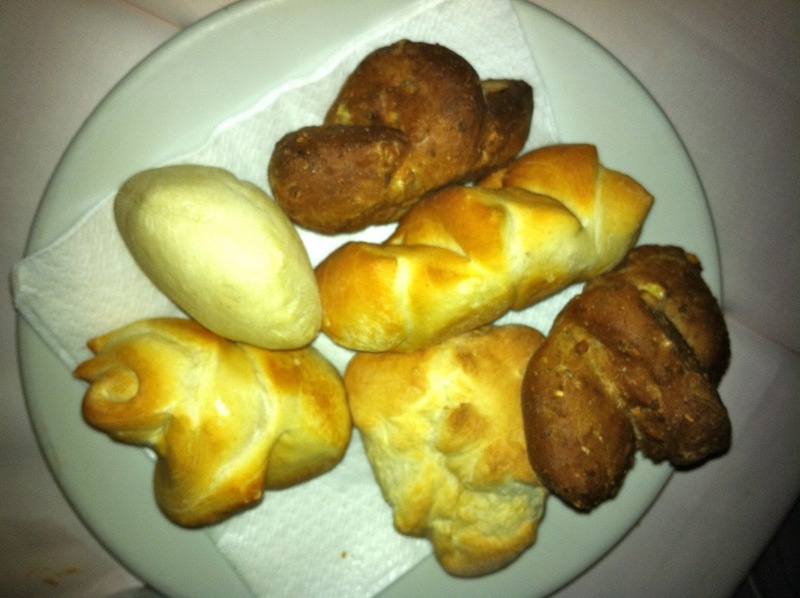 I really think that Del Binari is a true gem of a restaurant away from the hectic city center of Milan. You will not be disappointed by the attentive service and the high quality of the food here. Just reliving the experience through the pictures I took above is making me wish I could go back this evening!